Football is full of simple truths and philosophies and as we contemplate yet more pain at the hands of the Germans, none could be more fitting than Sir Alex Ferguson's maxim, "Goals Change Games". Had the referee correctly allowed Frank Lampard's chip over German 'keeper, Neuer, England would've gone in at half-time tied at two-all and Fabio Capello's team talk would've been about pushing for victory as opposed to continuing the fightback. 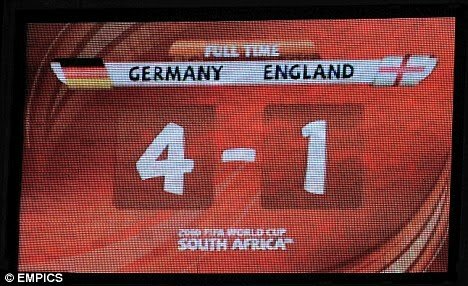 And of course, the game's shape would've been altogether different too: Germany would never have scored their goals on the break as they did, because England wouldn't have pushed up so much to leave themselves exposed at the back. But all of that is to ignore the simple facts: our defending to concede the first two was awful, we were second best on the night and England were lamentable throughout the World Cup as a whole. Fabio Capello's sent out conflicting messages as he comes to terms with why he failed to galvanise the squad so comprehensively. Firstly, he insisted he would not resign in the wake of our heaviest ever World Cup defeat. But he's softened on that: now he says he'll put it out to the fans. If the mood is negative toward him in the media and on the terraces, I believe Fabio will walk with a few million compensation. 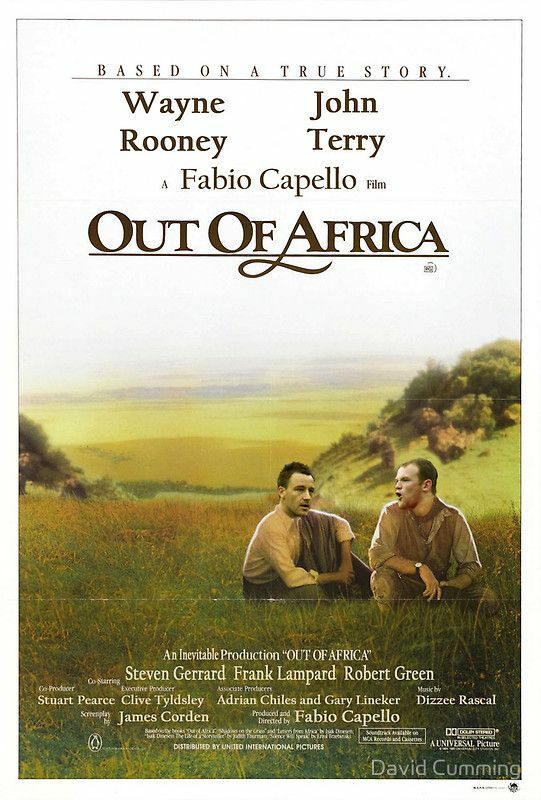 There was certainly a dressing room mutiny after the Algeria game. Voiced by John Terry at a spectacular news conference, he got his own back on Capello for dropping him as England captain. While the Italian has all the experience in the world of building winning teams at the highest level, he's left wanting over tournament experience. He failed to keep England's squad motivated and focused in the sleepy dormitories of their Rustenburg lair. As I mentioned previously, England can't win the World Cup while there's such a huge conflict of interests between the Premier League and the England team. The players are too well paid with their clubs - plus it's an all consuming relationship which means playing for England is at best a distraction and at worst a burden. As my colleague Nigel Bidmead succinctly expressed it, "The Premier League is a great watch. The national side has been sacrificed at its altar". So until that landscape is truly addressed, the England manager's job will continue to be a poisoned chalice and a graveyard to reputations. Click here for the current Top Story. Soccermongery's all about your feedback, so write away, right away! "As I mentioned previously, England can't win the World Cup while there's such a huge conflict of interests between the Premier League and the England team. The players are too well paid with their clubs - plus it's an all consuming relationship which means playing for England is at best a distraction and at worst a burden". CAN'T DISAGREE WITH THAT JONNY....and many players also have too many outside distractions. (Think Terry & Cole) The FA & Premiership can make a start by capping the number of foreign players in the Premiership & Championship. 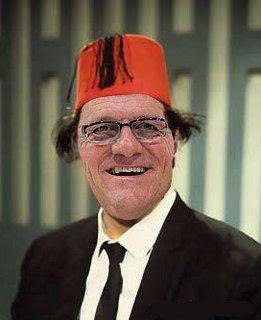 Feel sorry for Capello. A great manager in charge of very ordinary players. Rooney, Gerrard world class, don't make me laugh. They are too busy wondering which woman they are going to f*ck up the Gary Glitter next! If as they say that football is a game of two halves.....Then two halves make a whole,in which,the entire England team,Manager,Backroom staff and the FA should crawl into! I thought that time travel was impossible yet we have been transported back to the days of Steve McClown! Why are Gerrard and Lampard in the same team when they essentially do ... See Morethe same thing? Can anyone tell me why Heskey is still an International? and finally, was the squad out on the town last night cause they all looked "lightning slow" to quote another pundit's phrase! Mr Capello the honeymoon period has long gone, do the country a favour and fall on your sword. We need real change, real direction and real leadership not more of the last 40 odd years! Colin, You're being naive. There's never any "real" change in Britain. I think Terry should have been sent home for trying to gang up on Fabio. However if he did and we lost, people would have said, it was only because Fab dropped him and he was wrong to have done so. I believe players with 70% ability and 100% committed are far better than 100% ability and 70% committed. USA are a good example. So called second rate players not even good enough for regular premiership starts. But 100% committed to country they lost but what attitude, fighting till the final whistle. Fab should have a clear out and give the so called lesser skilled 100% committed players a chance. Players who would be so proud and honoured to wear an England shirt. Absolutely seething about England performance. Losing to a decent German side is no disgrace but this was capitulation and as abject a defensive performance from an England side as I can remember. Capello is accountable to the FA but to whom do the FA answer? In Sven and Cap the FA has appointed 2 managers on vastly inflated salaries - certainly greater than those offered by any other national football federation - who yes had a wealth of club management experience but crucially absolutely no previous experience of international tournaments. The Dept for Culture Media and Sport need to ask some serious questions of the FA's managerial selection process and remuneration. Inter Milan, champions league winners. How many Italians in the starting line up for the final? 0! How did Italy do in the world cup? Nuff said!! Manchester United, Arsenal, Chelsea, Liverpool. Our regular qualifiers for the champions league and they have all reached the final at least once since 2005. How many English players in those four teams? Not a lot!! Foreign caps would help, but they would breach European employment rules. I don't know if UEFA could do this, but maybe the way around it is to say, emply as many foreigners as you like, but to enter our competitions as well as being solvent, you must field at least six home grown players. Despite this argument, England do currently have some good players and certainly more than enough to have qualified for the round of 16 with far more ease and to have given Germany a harder time of it yesterday. For those reasons Capello must take his fair share of the blame and should walk. I would love to see either Roy Hodgson or Harry (the genius)Redknapp at the helm.